Limestone is not the best choice for a basement, but sometimes there's no way around it. The problem with limestone is that it "weeps" moisture because it is so porous, so keeping a limestone basement dry is a difficult job. There are really only two ways to keep limestone from weeping moisture into a basement, and, unfortunately, neither method is foolproof. Limestone is a very porous rock that allows moisture to easily pass through it, requiring it to be sealed. If the basement is furnished, remove as much furniture and rugs as possible, and all wall coverings. Clean the walls and floor by scrubbing them with a brush dipped in a solution of 4 parts water and 1 part TSP. The idea is to get all dirt and grease (including hands prints and fingerprints) off the walls. 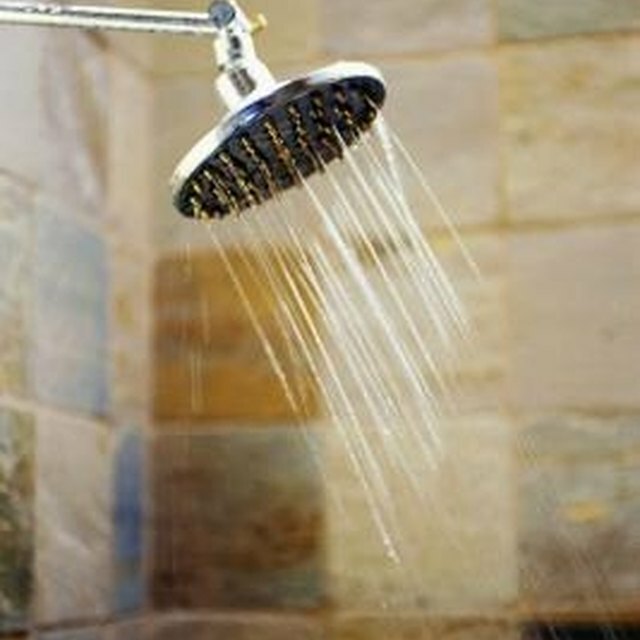 After washing with TSP, scrub one final time with plain water. Pat the walls dry with cloths. Spray or roll on a thick coat of limestone sealant, available at hardware stores and home improvement centers. This sealant is designed to keep the water inside the limestone from weeping through the interior wall. Spray or roll the sealant on limestone floors, as well as walls, and allow to dry according to the manufacturer's instructions. Spray or roll on a second coat of limestone sealant, and allow it to dry, as per the manufacturer's instructions. Use fans and heaters to speed the drying, if possible. Seal the outside of the limestone walls if the interior sealant fails to keep the basement dry. Use a backhoe or other digger to remove the dirt from the outside of the basement walls and then place a rubber or plastic vapor barrier (available at most home- improvement centers) along the outside of the walls. Replace the dirt around the walls to hold the barrier in place.